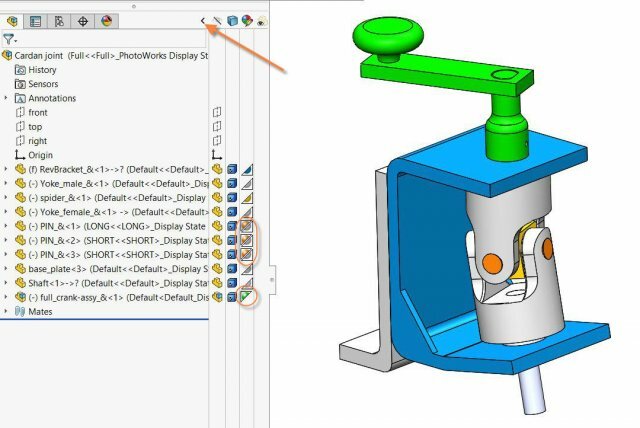 SOLIDWORKS Assembly Appearance Overrides allow you to apply different colours/textures/display styles to your components only in the specific assembly you’re working in, without affecting the original part files. 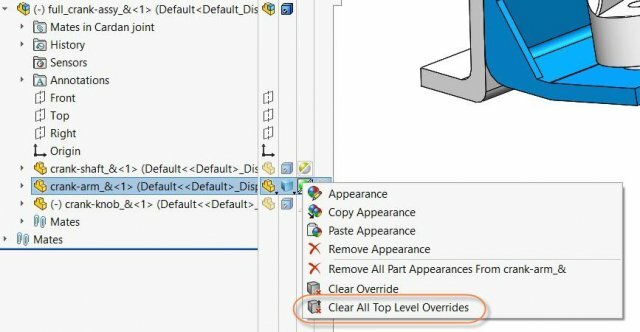 The Display Pane is very useful to visualize these overrides and provides ways to remove them. Expand the Display Pane by clicking the arrow at the top right corner of the FeatureManager Design Tree. 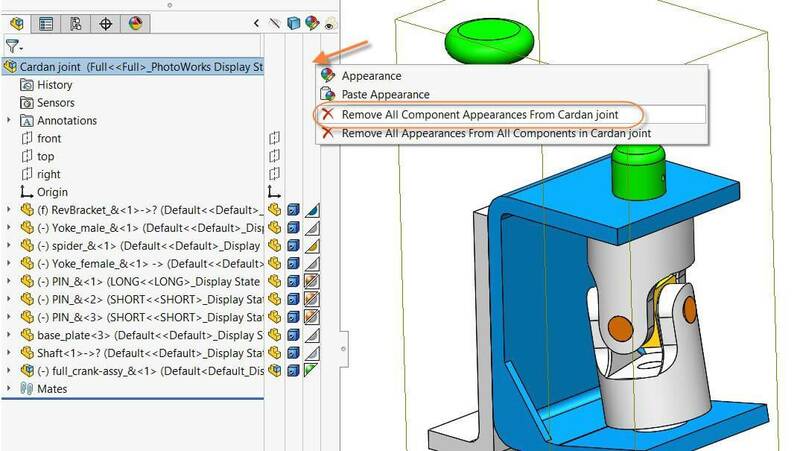 The lower right triangles under the appearance column show the part/subassembly appearance. The upper left triangles are appearances applied in this particular assembly as an override. To remove an individual override, you can click on the upper triangle and choose “Remove Appearance”. To remove all component overrides, you can click in the Appearance column at the top of the tree and choose “Remove All Component Appearances”. When it comes to subassemblies, you can also override appearances (and Hide/Show, Display Style, Transparency) to individual components of the subassembly. The subcomponents with solid icons in the Display Pane have overrides in this top level assembly (Cardon Joint.sldasm). 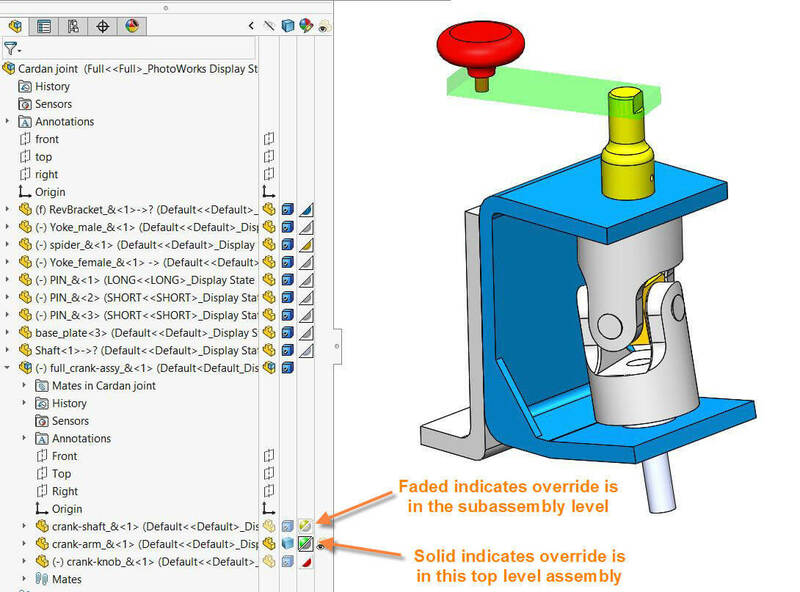 The subcomponents that have faded icons may show overrides, but these are overrides applied in the subassembly level (full_crank-assy_&.sldasm). If I open the subassembly, you’ll notice the only the yellow override is included as this was at the subassembly level. 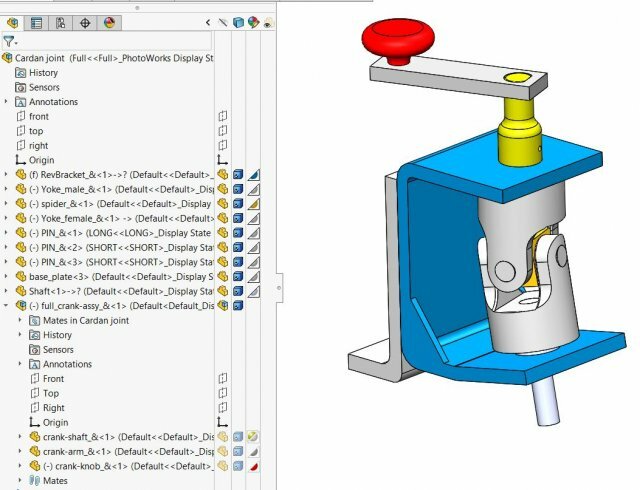 This will remove all the SOLIDWORKS Assembly Appearance Overrides applied to individual components within the subassembly, but only from this top level assembly. So now all of the subcomponents will show as faded icons. 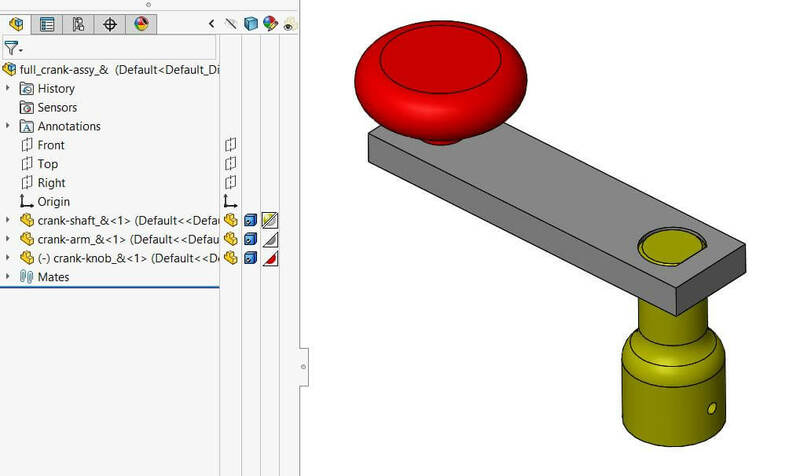 Why are my SOLIDWORKS Thumbnails and Previews missing? Why does my SOLIDWORKS Model appear Black? Scott is a SOLIDWORKS Elite Applications Engineer and is based in our Dartmouth, Nova Scotia office.